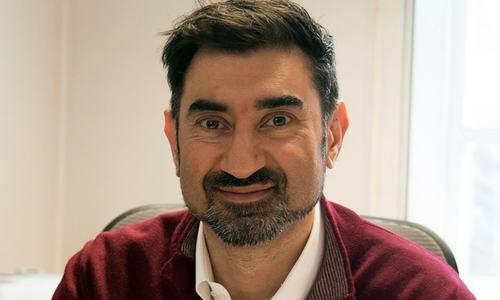 London-based economist Dr Imran Rasul has become the second member of government's Economic Advisory Council (EAC) to resign following the exclusion of US-based academic Dr Atif R. Mian, who was asked to step down from the body due to backlash over his Ahmadiyya faith. "With a heavy heart, I have resigned from the EAC this morning," Dr Rasul, a professor of economics at University College, London, said in a tweet. The economist said he "profoundly disagree[s]" with the circumstances in which Mian was asked to resign from the council. "Basing decisions on religious affiliation goes against my principles, or the values I am trying to teach my children." In a series of tweets, Dr Rasul spoke in favour of Mian's appointment to the advisory council, saying "if there was one academic on the EAC that Pakistan needs, it was [Atif Mian]". He added that the formation of the EAC and the panel's composition offered a great opportunity to devise a better economic policy. "Resolving the macro and fiscal mess the country is in will lay the bedrock for social protection, poverty alleviation policies and other economic reforms the country also needs," he reminded. Wishing the government and the EAC luck in their future undertakings, the professor said he remains willing to offer "non-partisan, evidence-based advice" that can help improve economic policymaking in Pakistan. Dr Rasul said while Pakistan is full of talent, it "needs leaders willing to draw on all this talent, and that are willing to appeal to our better sides, for the common good and not sow division." The first meeting of the recently reconstituted 18-member EAC was presided over by Prime Minister Imran Khan on Thursday. With the resignation of Dr Rasul, all three international economists of Pakistani origin on the council are no longer part of the advisory body. Out of the remaining 15 members, seven belong to the government and eight are from the private sector. The members of the council from the private sector are: Dr Farrukh lqbal, Dean and Director of the Institute of Business Administration; Dr Ashfaque Hassan Khan, Principal and Dean of School of Social Sciences and Humanities, National University of Sciences and Technology; Dr ljaz Nabi, Professor of Economics, Lahore University of Management Sciences; Dr Abid Qaiyum Suleri, Executive Director of Sustainable Development Policy Institute; Dr Asad Zaman, Vice Chancellor of Pakistan Institute of Development Economics; Dr Naved Hamid, Professor of Economics at Lahore School of Economics; Syed Salim Raza, former Governor of State Bank of Pakistan, and economist Sakib Sherani. The official members of the council are: Minister for Finance, Revenue and Economic Affairs Asad Umer, Minister for Planning Development and Reforms Division Khusro Bakhtiar, Secretary of Finance Division Arif Ahmed Khan, Governor of State Bank of Pakistan (SBP) Tariq Bajwa, Adviser on Institutional Reforms Dr Ishrat Hussain, Adviser on Commerce Abdul Razaq Dawood and the deputy chairman of the Planning Commission. Within three days of its rhetoric about the rights of minorities, the Pakistan Tehreek-i-Insaf (PTI) government bowed down to pressure from religious groups and asked renowned economist Atif Mian to step down from the EAC on Friday, only to lose another council member from the private sector hours later over the controversial move. Explaining the circumstances that led to his resignation, Dr Mian said the government was facing tremendous pressure over his appointment from Muslim clerics and their followers. 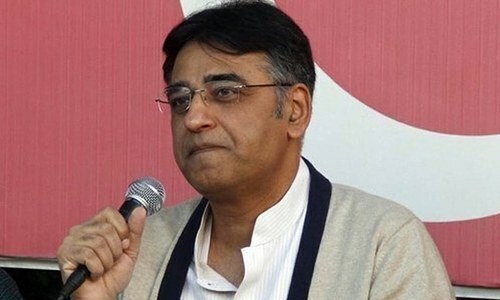 “For the sake of the stability of the Government of Pakistan, I have resigned from the Economic Advisory Council, as the Government was facing a lot of adverse pressure regarding my appointment from the Mullahs (Muslim clerics) and their supporters,” he tweeted. Earlier on Tuesday, the government spokesman had strongly defended Dr Mian's appointment to the EAC on the grounds that Pakistan belongs to majority Muslims as well as non-Muslim minorities. “What is wrong with the appointment of a professional economist as a member of the EAC?” said information minister Fawad Chaudhry, amidst a vicious online campaign targeting Dr Mian for his Ahmadiyya faith. “He is a member of the Economic Advisory Council and not the Council of Islamic Ideology,” he remarked. Three days later the government apparently succumbed to the pressure generated by the call attention notice submitted in both houses of parliament against the appointment of a person belonging to the Ahmadi faith and a petition filed in the Islamabad High Court (IHC) challenging his appointment. Hours after the announcement, another EAC member, Dr Asim Ijaz Khwaja, professor of International Finance and Development at the Harvard Kennedy School, announced his decision to resign from the advisory council. Respect to those with integrity. Shame on those that practice hypocrisy and cowardice despite being under official bulletproof protection. You embolden the small number of intolerant extremists, at the expense of 90% of Pakistanis who are far more open minded (but easily manipulated). We do not need exported mind to handle our economy. The problem is inside and the insiders can solve it better. Good move. This shows all are not afraid to stand against stubborn mullahs who divide Pakistan on religious and sectarian lines. Well done Sir. We don't deserve it. We failed once again to honor our heroes. Well done Dr. Imran! I hope some other honorable members will follow suit. In future i hope these same people who resigned or were asked to resign are appointed back. I don't blame this gentleman, man with higher moral ground are bound to follow such steps. But by this looser become poor public which will be on mercy of the mullahs sitting in economic adviser council with absolutely zero economic knowledge. This news did not surprise me at all. Many more resignation to follow. Anyone with an average IQ cannot stand or condone the treatment meted out to respected academics. What do PTI govt has in plan - filling the positions with village mullahs? Pleased to see someone shows spine. Salaam to courage to both who resigned in protest. No one wants to side with extremists. PTI will loose support of sane people. Not one, not two but multiple, thundering slaps on the faces of those who opposed Atif Mian's inclusion in EAC because of his faith. Brave decision. In this whole episode, I am saddened more by PPP's Shehla Raza than anyone else. These seeds were earlier sown by ZABhutto, we are reapping the crop. Sometime I think that Pakistan as a country makes you mullah. Good man. The rest should follow suit. Someone who stands with justice. congratulation! Its appears that so called financial experts are making excuses to resign from advisory committee to avoid accepting challenges and delivering results. Such people are only expert on paper and are selfish, cowards and do not want to see Pakistan prosperous and self sufficient. No problem, there are other talent around who are loyal and willing to help their country for the sake of their children and future generations. So, the Cabinet that the PM is appointing comprises of may be 2-3 new ministers. The EAC which consists of hand-picked world renowned economists are not willing to work with us now. Time to think PTI, IK and Pakistan. Economic Advisory Council needs people having heart for the betterment of Pakistan. I think working for our motherland must not be compromised by any act whether it be of indvl or Govt. Absolutely the right thing to do. So glad you had the courage Dr Imran, to take a stand against this bigotry. Thank you sir for standing by your principles. AAmong other things this nation also need to develop character and grow some spine. i wish all remaining private sector members of the EAC also resign in protest. Corrupt media and politicians must be happy about this developments....! Good decision by all three academics! As much as I support IK, I want him to see the consequences of poor decision making and U-Turns. No worries we have plenty of best economist in Pakistan like Dr Ishrat Hussain etc. If one or two leaves it won't make difference in Pakistan. Pakistan zinda bad. Shame on Pakistanis who insisted on romoval of the Dr. Arif. Imran has failed here completely. You are not only maligning Pakistan, you are harming Islam. All members should resign...descrimination has to end some where. A very good decision indeed. No rational person can ever stand with the government who may turn biased any time under pressure of religious bigots. If there is any government that CAN implement Anti Racism legislation, it has to be this one. We MUST make it our law that no racism will ever be tolerated, on the grounds of religion, sect, cast, creed etc. We as a nation cannot be dictated by a bunch of thugs who are on foreign payroll. Any body conscious and learned will resign.what a negative decision by govt. Only good intentions are not enough, we need great minds too! If a person can save a ship from sinking, we should not worry about his faith. Pakistan needs not just academicians in the Economic Advisory Council but practical business people. I don't know of any academician on this Council who has created any job for any Pakistani. Pakistan's economic problems are not just macro but micro too. They will not be solved by writing academic papers but by creating new industries while supporting the existing ones. It is the survival of Pakistan that matters now more than anything else. I live in Silicon Valley and this is opinion of all my technologist friends here. @Ali: So where have they been all these years? @Markhor: So where have all these economists been all these years? Bravo. I hope the remaining committee members will also consider their position. The fight against intolerance and bigotry is our first priority, over and above economic challenges. Good leave IK's cabinet if you disagree with the Fundamentals of the Constitution of Pakistan. There are hundred of thousands of Economist are wandering in the streets of Pakistan they deserves a Chance. it was the right move in the given situation. some sections of the country are not yet prepared. giving in doesn’t mean giving up! every religion is a system choose what works best for you,respect others beliefs. What's happening around us. .
No problem. We will find good replacement for you too. I think we need to focus on our domestic resources for financials advisory. In Naya pakistan only people like Dr furrukh saleem and orya maqbool can do their jobs. Also, imran always liked Dr furrukh saleem fake numbers and quoted him in his all jalsas but why not giving him any position? In face furrkh should be given finance minister post because he knows everything where trillions of dollars waiting for someone to come and take. IK and his team should have taken stock, in the first place, of the public reaction to the nomination of Atif Mian in the Council. Now taken the right step to bow to the public sentiment. Afte all, this is what democracy is all about. Government criticism on this score is misplaced. All members of Committee should not join until govt. brings Dr. Atif Mian back. This proves that they picked the right men! Unfortunately for them, the right men demand that the decisions being taken are also right. @Ali yeah like Sharifs, Zardaris and Bhuttos..
99.9% Pakistanis want Atif Mian back in EAC. We all stand with Atif Mian. We respect his decision, so now lets move on. I was so happy that we were having Atif mian as advisor. He was the best guy for the job. It profoundly saddens me that we have wasted such a brilliant talent. It’s useless just replacing subject experts so casually on sensitive issue, looks govt. is working under pressure. Double standards by the government. Disappointing that PM says one thing in his speeches about minorities and then acts differently. This was an economic council and not a religious committee so religion should not have been a factor. Joys of a minority government. More such decisions will come to please coalition members. Sorry to see these individuals leaving the advisory council. It would have been much better to register their protest but serve the country at this crucial stage. It is a set back but life goes on and the government should find suitable replacements as soon as possible. Let all Pakistanis including Media standup for Atif Mian to bring him back to EAC. If Atif Mian is back in Pakistan then Justice will win in Pakistan, in Naya Pakistan Justice is going to win. Lets us all campaign to bring back Atif Mian. Well done! All EAC should resign until they bring back Atif Mian. That’s a great move - there should be pure merit.... I would have done the same. @abbas would you please name some economists of this calibre wandering in the streets of Pakistan! @Zak -- Sensible opinion on reappointment. Pakistan belong to all it's minorities too. There is a need for amendment in Pakistan's constitution to support merit over caste and religion. I dont believe on religious discrimination, but once we had a planted PM who was working with world bank. During his tenure he formulated such National Economic Policies which only benefited the interests of world bank and IMF.I think its not wise to bring pakistanis who are living abroad for streamlining our economy when nobody knows about their affiliations and trustworthiness.Alot of care and check be observed in this regard. @Anti-Corruption_Pakistani who are those patroit economists,never herd of them . 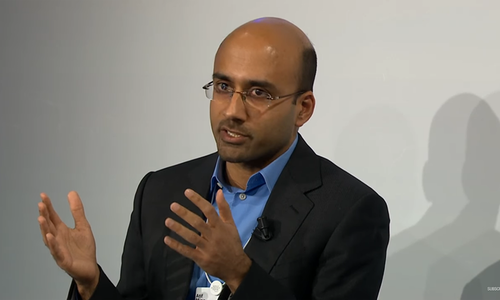 @Stand with Atif Mian I want some Mullahs to be the advisors in economics for the uplift of country. Shame on other parties that they are not backing IK in his decisions for the development of Pakistan. Narrow minded microcephalics. Instead of importing minorities,Pakistan should seek advice of Chinese economic experts. Pakistanis are liberal we support Atif Mian, we want you back in EAC. Now that we have lost 3 quality professionals it’s time for maulana fazlur Rahman and Shehla raza to replace them and steer the country from this economic crisis. Shame shame! Pakistan is a liberal society we welcome Atif Mian to join EAC. They had a chance to do something for their country but chosen otherwise. We overseas Pakistanis love to do something for our country but can not believe that when the opportunity arrived to someone he decided against it. We Pakistanis and not conservatives like Rizvi we are Liberals we welcome you Mr. Atif Mian, Welcome to Pakistan. dawn please promote the idea in your article that there should be a nation wide referendum or survey or polls on whether ahamdi are eligible or ineligible to apply to government jobs in pakistan. Then only we will find out who supports bright people like atif mian or if they don't. Why and who publicly disclosed Dr. Atif Mian’s religion? IK needs to take culprits to task and make an example. Racism & discrimination stands in the way of progress - Western countries have realized it and are working towards multiculturalism whereas we are stepping back in time. UAE and Saudi have employed thousands of experts regardless of their religious belief so they can prosper whereas we are forcing our talented and educated people to move abroad as they can’t deliver in this toxic environment. Totally understandable decision by the professor. IK has failed in his first real test of leadership by succumbing to the unreasonable and bigoted demands of extremists. Imran needs to stand up for principles and universal values or he will join the ranks of leaders like Suu Kyi of Myanmar. Very disappointing decision, did not expect that PTI will bow down so easily and accept the completely absurd and unjustified demands of the so called intolerant religious elements. The initial response by information minister was very heartening and it looked that PTI will stand its ground but unfortunately it proved to be no different from the previous governments. Dr. shahib I request your reconsideration. I totally agree that Dr. Mian removal is deplorable and shameful as it is based on his belief only. I would like to think that good people like you can help make the changes needed by participation. Please do reconsider. Is this the Change we have been hearing for so long? I wrote that these PhDs will be dispointed IK, Because IK want to play as Boss and not leader! These kind of people do not deserve to be in the government who have their personal love above the country. Within a week of it's unilateral establishment, the so-called Economic Advisory Council (E.A.C.) of the new P.T.I. administration is in big trouble. What a funny decision of an u turn has made by PM. ..
Now IK should ask TLP head to become his EAC head. I guess he has already adapted donations to solve his country problems so he may not need EAC. I am so disappointed with IK. Government's thinking that professors from local and foreign universities will shape better economics policy is not correct. Government should appoint honest and trained officers from civil services of the country. They will frame better economic policy then Phd holder teachers. Great job PTI! now you can employ both Khadim Rizvi and Fazl ur Rehman for the vacant seats of EAC. @Anti-Corruption_Pakistani people like you should stop acting as bigots and biased before commenting about their decision of resignation. There Must be equality in all religions in Pakistan. we have lost three professionals ................... very sad. Three cheers for the three professors, they should be in the forefront of economic development here. Do these decision makers realize the damage done to this country's image through this misplaced step? This is international news. PTI & Imran Khan just lost a supporter. Poor show! The Best have spoken !!!! @abbas what they have done so far for country?? Bring them back and those opposing should be asked to resign. Our religious parties have always opposed firstly the creation and now the development of Pakistan. So three prominent economists, all professors from foreign universities quit - misguided PM succumbed to the pressure from narrow-minded bigots, relics of the medieval age. It is not the end, it is the beginning embarrassments for PTI governments. True face of IK is emerging. In reality there is no equality, just a name sake. The fundamentals are the rulers behind, democracy is just a show off to the world. Imran is third person to resign from EAC. After, Atif, Asim Khwaja also resigned yesterday. @Changez Khan this is matter of principles, does not have any link with the love of the country. I think they (who resigned) are the genuine people with spine, there love for country was the driving force of their joining the council. The problem with us is that we always want to think that someone else from some other country will come and save us from our misery! We ourselves have created all these economic problems and we ourselves will solve it! Why are we finding it hard that we can do this on our own! The reason our country is facing economic problems is because the policy makers did their part in making such policies which benefits the few! Not all of those policies are the same but some of them might be inclined towards such goals! Then rest is done through corruption! Corruption in everything! People are doing corruption! Politicians are doing corruptions and the bureaucrats are doing corruption! Then thekedar is doing corruption and mazdoor is doing corruption! We know what our problems are and we ourselves can solve it! Stop regretting what has already happened and look forward to new solutions! The Council of Islamic Ideology should be assigned the additional role of Economic Advisory Council as it is more than competent to handle any task. I agree in principle but most smartest person is not always also the most suitable person for the job. So the PM started compromising with the extremists? @Markhor Yes we hv many other economists but NONE like Atif mian!!! By the same token, why the Mulla community is not asking the imported CEO of Pakistan Stock Exchange to step-down, he is also a non-muslim !! Its pathetic the way these Mullas have forgotten the real message of Islam. Simply Pathetic !! It is sad what happen but masseuse people have asked government to remove him either is good or bad. People should be listen and they should be advocated what is wrong and right. Everything which people were blindly supported by other parties from 40 years, they want everything to be taken care by New government. Give them time and let them work is only possible solution for Pakistan progress. They are following there commitment. @Ali Then Why IK asking money from overseas Pakistanis for Dam? So sad to lose such an intelligent gentleman. Very powerful and strong extremists. Hopefully All EAC members will resign in protest ... PTI Govt. must say " GOOD BYE " to " NEW PAKISTAN " if it doesn't listen to the EAC members. We need to grow out of this myopic vision Pakistan is for all its citizens equally.Agree with resignation. I feel so sorry for my beloved country and hate the mulas even more! The Domino effect will countinue, until hardly anyone credible with much credentials is left on the Council. Almost exactly as what happened with Trump's Business Councl, after series of key Business Executives and CEOs resinged due to ideological differeces with Trump. Please bring experienced Ishaq Dar back. He is the best option for us and we deserve to have him in our EAC. A bad start by IK and a jolt to the dream of Naya Pakistan. Why Govt want foreign economists? There is no economist in Pakistan. Poor planning of govt advisors and their selection. There are two issues at stake, fisrtly the way his fellow economist was asked to resign, a genuinely deproble and sad event. The second issue is that of serving his country with his expertise, to help devise solutions to amelorate the economic solution. In his judgement to resign in support of his colleague was given priority over serving his country. I choose not to be judgemental, every one is entitled to make a choice which way to go. There was of course a middle way, a moderate course of action. He could have condemened the reason behind asking him to sesign and served his country at the same time, that is what Iwould have done had I been in his shoes. 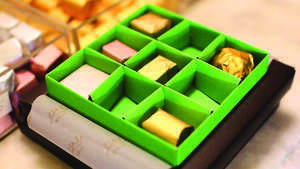 Some things are highly desirable and commendable but not quite prectical. The value or quality of an act is determined by its outcome. @Ali A Pakistani wherever he is, still a Pakistani. Religion is a personal matter, professionalism is a public matter. Don't mix up the two. @Ravindra But in some countries the extremists are in government. Until constitutional amendments are reversed there is no chance of getting out of a situation like this. Religious scholars will always have the upper hand. All discussions are futile otherwise. Unless you deal with the crux of the matter why complain? IK/PTI: As you sow, so shall you reap. The process of selecting so called "top economists" is flawed! I completely agree with equal opportunities for all especially for minorities (coming from one myself), but context is everything. The new government has to take into account that the 71 year history of the country had been highjacked by people with deep rooted prejudice. This will take atleast a couple of generations to change. If the new PM stuck to keeping Atif in the new post, the descent from within his own party would have jeopardized everything. In this context the nomination was a blunder in the first instance. People with point out the Quaid appointed an Ahmedi to a senior position in government, well that was then and this is now. Lot's of work to be done to change things. Merit should be the only criteria when it comes to making progress. This is the only way that will put us on the path to growth and success. Strongly believe that we should promote merit and only merit and no room for any other kind of bias. @Zaib The victory was when Dr Atif R. Mian was forced to resign. The following resignations are a matter of principle. These two gentlemen have the courage to stand up for the very prejudice they oppose. One can say that IK has been given bad advice (again). Not his fault. All sane member of EAC should resign in protest for disrespecting respectful citizens. The religious right was only testing out the new government's resolve ...... and the government was found seriously lacking. Next time they wil press harder and I hate to speculate as to how this government will react. You have to understand the position of the PM. He also understands that difference should not be made based on the religion that is why he appointed Atif. However he has to face political pressure as well. Well done sir you accepted that you cannot face physical realities and chalanges they pose. Though I think Mr. Atif Mian's appointment was a prudent choice due to the multitude of challanges being faced by Pakistan's economy; and that his expertise will be surely missed; however resignation of Dr Asim and Dr Imran in protest seems selfish to me considering the dire straits the economy is in. To fix Pakistan's economy would be a Herculean task; and would need all the help available. Dr Asim and Dr Imran are willing to deprive Pakistan of their valuable input in its hour of need just because the young coalition govt did not want to cause further difficulties for it self right now. to be honest; they should not put themselves in such a spot in the first place considering the power the far-right holds in Pakistan. I believe the country is more IMPORTANT than any single person. Deeply painful and disrespect. Not a justifiable decision. There is a big difference between container politics and being PM of the county, facing actual issues. Pakistan should appoint Chinese economists to advise on economy. @abbas Wonder why so many economists in Pakistan wander in the streets aimlessly? Then what? This country can run with this comission or it's members. no embarrassment for the engorgement there are thousands well qualified economists ready to take up challenge. All the selected economists must resign to send a strong message to the government it must walk the talk on rooting out bigotry and introduce meritocracy. Do we have a dearth of qualified people in Pakistan? Salute to the man with courage, integrity is equally important as qualifications, knowledge, and experience. They should rather work for patriotism. Indeed Atif Mian should've not been flanked but the other 02 leaving are just making their international bosses happy. Pakistan is in a difficult situation and they need to work for it. @Shabbir Ahmed PTI did not respect the 20 million who voted them in. They succumbed to a few who did not even vote for them. Is democracy the will of a small minority or a large majority who elected you? Please get your definition right. So, your values are more important than working for the future of the country? That is exactly the same point of view as of the people at the other side of the aisle. I think they should have not resigned. Conditions in Pakistan are such that retaining Mian Atif would have resulted in bloodshed in the country. Our eminent experts must realize that this is not the western world and the education standard in our country is far below the western countries. My humble request to these experts is to withdraw their resignation and help develop the economy of this country. Once the economic prosperity is there, people will get educated and rise above such intolerance. Withdrawing resignation will actually work to spread the values of equality, for which our experts have resigned. Resignation will not help their cause. If somebody is leaving us he must be allowed to do so. Instead of wailing upon their resignations we must find local experts. Pakistan hosts the 6th largest population. Come on we can find solutions to our problems with the help of local blood that has been raised among us... If someone is going it is not a big deal. People come and go. What we should focus at is to create an infrastructure that we have not to depend on these foreign living people. Embarrassing for whole nation not just government. It will take some time to rebuild mindsets of people to. Can’t blame government. I disagree with him. Professionalism should have prevailed over personal choices. He was supposed to do his job irrespective of the issues of other members. The purpose of the council is to steer Pak out of the economic troubles, not to make Pak a liberal state or anything else. The crippled economy should have been the focus for the time being instead of some side-business. I hope, the government finds his replacement too. To remove Atif from advisory council has saved lives. If he had stayed the opponents of the government would have started rallies based on religious sentiments leading to protest mostly in Punjab. The results of these protests would have been bloodshed. @Ali you need to wake up. So, is this due to establishment network that has been discussed for some time earlier. Those who quit were never meant to be. The show will go on with or without them, iA. This is a setback ... not a good sign. Don’t you see similarities in Donald Trump and Imran Khan? Liberal past now siding with conservatives to accomplish political goals. While all the intentions may be right, if your company is flawed, one can do more damage than harm ...in long term. @Ali .Exactly, we have highly qualified economists, and mathematicians, in Pakistan, please reconstruct the committee, and only those from within Pakistan be recruited. This is more embarrassment for Pakistani Media rather than for Governmnent. Why you have a heavy heart on taking this decision? @Hm I think you've got the statistics upside down. Now this is too much .. Reaction over sacking of Atif Mian is beyond understanding. Pakistan needs unified cooperation and support of all Pakistani living in or abroad . we have to change the country and making it Real Strong Islamic Economy. I salute you sir for having the courage to do what you did. imagine how a common member of minorities might be treated in rural pakistan. Resignation is a retrograde step. Since the idea of EAC was for economic upliftment of Pakistan. That goal should have been the focus. Unless IK gets a good grip of the economy he is handicapped and unable to act against such subversive elements. A strong and prosperous Pakistan is in the interest of India and South Asia. Quaid e Azam gave his life for Pakistan, he could have decided to abroad and have good life, but there was a greater cause for which he faught for that was Pakistan. However the people resigning or thinking to resign they should think first that they owe a lot to the country, and have a chance to serve Pakistan. This world is full of great people they pass away and still the life goes on. the baloon of "change" is deflating fast. @Hm very well said. This a real setback to a very right decision by the new govt. to form EAC, to provide the nation a comprehensive economic policy guidelines so that by implementing it in the near future, the country can come out of mess it finds itself in. The haste with which the new govt. buckled down of taking a moral stand on the issue clearly shows that we have novices at the helm of affairs who tend to handle such vital issues so callously & without any prudent analysis of its fallout. This one step forward & two backward, causing immense embarrassment to the nation should a real cause of concern.One that opposition pulling the rotten car of status quo, using the religious card to subvert this undertaking of the government successfully, will use it effectively too in the future at their choosing.Two, the recent rise of ultra right seeing their nuisance value working at policy making level, taking a cue will be more assertive in their frivolous demands to be relevant to masses. When we were younger, we were taught that Muslims came in Sub-continent and because Islam treats everyone equally, they welcomed lower caste Hindus to Islam. Yet we continue to act that a patriotic Pakistani had to be a certain KIND OF MUSLIM. We should me ashamed of ourselves. The guy was nominated for an economic council and not a Sharia council. Standup for something people! Why are these people resigning. Sign of short term mentality . How can everything change in two weeks. It will take a good 10 years to be where we need to be. Everyone thinks they’re someone special when no one knew their name before govt invited them . The best Pakistani minds stand for Merit. IK has lost them and all the overseas educated and experienced Pakistani who had believed in the Naya Pakistan and were potentially looking to move back and provide technical and academic expertise. Well, PTI cannot change the religious realities of Pakistan in a blink. These educated people must understand as they themselves are from a Pakistani origin. The easy way is just blame PTI leadership as weak and walk away. Bold move would be not to abandon PTI at this juncture and work behind the scenes for the development projects. in the start of social and economic changes in society, its O K not to take dead head stand against extremely very powerful conservative groups , need to bring changes very wisely and slowly. Generally speaking politicians are elected by public if public don't want someone to hold a position so there should be no right for someone to say against it. It is time to protect every citizen and treat every citizen same just in USA we expect from US government. Just imagine, US start doing the same how would we feel. Shame on us for acting in such manner. @SMI Majority are in favour of Merit and getting the best Pakistani minds to solve our financial crisis. Justice for all. I never expected that Pakistanis will stand for principles. Kudos. Why would we need outsiders to resolve our economy? We have our own bright minds within Pakistan who can better handle our internal ecomomy issues. Title for this issue as "Embarrassement For The Government" is not fair as PTI cannot control and change mindset for 50% of the population on this issue as other loser parties are also fanning this hatred against the government for their own benefits. Imagin that even after Nawaz Shreeif is convicted for money laundering and corruption public still miss him. What that tells us? Majority of our people are religious followers and thanks to our uneducated mullahs and clerics. These eminent economists must not just abandon PTI and development projects but work by providing guidance. Let Pakistan pull itself from the economic quagmire that PMLN has created. IT IS EASY TO RESIGN AND STEP ASIDE than to look difficulties right into its faces. Pakistan belongs to everyone regardless of their faith and religious believes. These economists must show courage and perseverance and must give helping hands in their capabilities and capacities to the newly elected government. JUST WALKING away is not the solution. Most of the experts on the list are really no experts rather people who wrote columns to promote them selves! Maulvis and religious leaders should be confined to Mosques and Religious schools, they should not be allowed to have any say in matters related to Economic, Political or security related issues. @M.Manzar Name one for example. A talented person and an economist had to resign because of different Muslim sect which is very unfortunate. In the modern days no where in the world such feelings should continue. My suggestion Government should not bow down to the fundamental elements. @Ali Those are not exported minds, those are Pakistanis with better understanding of current economics. From my Personal experience after earning Masters degree in Economics from Pakistan I cam to USA for advanced degree in economics, just after few days in class I realised I have very little knowledge of economics. It would have been much better if Pakistan had utilised expertise of these modern economists. It is indeed a sad day for pakistan.i salute these two other economist who resigned because of exclusion of renowned economist dr.atif mian.i will be even more happy if private sector economist who are part of the eac also resign to express solidarity with dr.atif mian. @Anti-Corruption_Pakistani you are so wrong in your assessment of you dont see why they resigned. Open up your mind and learn to see patriotism without any bias. If you are so particular about the foreign economists, why take money from foreign banks and foreign countries ? Cant you survive on your own? No money to pay loan. We are ready to default, Call princeton or harvard or oxford economists, it does not matter. We don't have modern skills to increase GDP and exports. Will Pakistan ever be a one the new government has promised or the one we want it since independence. Whatever is happening, it is just blow on poor class of pakistan. Rich have anything, what they don't have a ideology which could serve everyone class of our society. The world is going in aeroplane for the way prosperity but we are still finding something a cab to go there.. We must change our behavior and just follow the saying of jinnah's Pakistan. @Shabbir Ahmed good luck to Pakistan then if all you care about is the popular sentiment even if it goes against whats right. Which means your policies will always be indirectly governed by your uneducated strata since they form a bigger group as compared to the educated ones. Yes. I agree. It will be problem for IK if he continues to consult bad advisers. I am actually surprised that all members of EAC have not resigned in protest. This is about doing the right thing and about integrity. I can not have any respect for serving EAC members any more. You can not discriminate on the basis of religion. This is an educated decision by an intelligent person. Unfortunately IK worries more about the division of Govt than elimination of poverty and allevation of economy. Disappointing IK. There is no embarrassment. Another propoganda. I think it is an emotional decision. He should have looked at the bigger picture and have a better perspective. The cause of having him in the EAC is more important then sticking to his own ideas. Pakistan needs people like him. He should have been selfless and serve his country. Stunning....sad, deplorable to do this to merit based selection, PTI touted. All politicians same. I have a feeling it will be same as in the past. Praying for Pakistan! @Anti-Corruption_Pakistani , I think those who have resigned are men of principle and they are not looking for excuses not to serve the country. Shameful start for Pakistan govt bowing to religious parties who will leave no opportunity to blackmail it in time to come. These economist need to calm down and try to understand the big picture. More embarrassment not for the govt. but the whole nation. This unprecedented moment should be setting a precedence that if you disagree with other's views or thinking you should resign and do not keep sticking with the lucrative nature of the job and the government. The religious scholars should open their eyes and come up with something to resolve this wanting issue. Mixing religion with politics makes it an explosive mix. It is a shame that a Pakistani is being denied his right to serve the motherland. And the nation and the country is being deprived of his knowledge and expertise at a time when the nation needs it most. How could this be patriotic? How could this be Islamic? Every Pakistani citizen has a right to be accepted and treated as an equal citizen with equal rights and opportunities. Denying it is weakening us as a nation. Those who believe in justice, tolerance, and equal rights for all citizens need to come forward, and stand up for their beliefs. Well done sir, I hope more members have the guts to follow suit. Will there be any local Pakistani in the EAC who have guts and is willing to resign ? After all this is becoming a critical national issue now. This is a great blow to the overseas Pakistanis willing to work for their own country. I think PTI's policy of backtracking before and after taking the power has clearly shown that whatever they do is without any homework done. Not a good move but acceptable under the current circumstances. Very poorly handled by IK and team. We do not want people in a team work work with prejudice against others. This sort of issues should have been thought out first before making the council and its members. PTI, if you want to change the country and make a Naya Pakistan, you must move away from old compromises. We who voted for you were totally behind your landmark decision to appoint Dr.Mian but you've let us down. With his comments, Fawad Chaudhry had become a national hero for many of us. Realise that you must take up principled fights for change, that is why we have voted you in. Realise that we are tired of being held hostage by a minority of mullahs and extremists. That is your mandate. Please dont disappoint us again. No worries we can survive without them. All members of the EAC should resign in protest of the government’s action to remove Dr. Atif Mian because of his faith. Show solidarity with Dr. Atif and the sanctity of the rule of law. Shame, Shame, Shame, we are still stuck with this Muslim, Non-Muslim issue. A good Decision fromt the Government, Appreciative. Please don’t quit - rather work under protest to drive the point and serve the nation. Commendable gesture against religious bigotry. I am so proud of these international Economists. They are showing the true way, Naya Pakistan should follow. Imran Khan seems to be weak and ineffective. He would play in the hands of the Establishment and the religious groups. Only fool to believe changes overnight in a 90% illiterate population! Our PM, who was always a champion of principles, has let a lot of us down. Shame on the people in Govt. and country who are standing against the message of our founder and basic human equality!!! Good move. Imran K is just talk, no action. Now that is magnanimity. Very honorable indeed. "Naya Pakistan" The same old wine in a new bottle. IK should not bow to any pressure. Naya Pakistan should not be created based on pressures and fears. You’re missing the entire point. The damage has already been done. This is just more confirmation. Two serious blunders both on foreign affairs and domestic fronts with far reaching effects on Pakistan have been committed by the new govt in the first month itself..
Let’s look forward and do the job. Too bad we missed professionals, we don’t have time to mourn, do with whatever homegrown resources we have. The Kaptaan has already started showing his true colours. Best wishes for Naya Pakistan. Naya Pakistan still sounds like old Pakistan to me ! @Ali Ali , do you even realize the economical mess Pakistan is in? Do you realize that you need the best brains. All the economic advisors from all the countries have taken note that Pakistan is not serious to tackle their economic problems. A sad episode that will have deep ramifications for both PTI and Pakistan. @Shabbir Ahmed Democracy makes you responsible to treat all citizens equally without discrimination. If one cannot do this then there is no democracy. Democracy does not allow you to discriminate minorities. This is why Barak Obama became a president in white USA. This is why there are no black slaves. .If rukles are only made for majority then it is autocracy and not democracy!!! @Ali Are they not Pakistani citizens. Do they nt have welfare of nation in their mind. Do you want finances to be handled by Salahuddin or Haqqani type of people. What a warped outlook.Youhave to pick the best fromwherever you get it. Sad to hear about decision. It would have been better if you had stayed. I completely respect the values and do understand that the value speak larger than life. But at the same time we know the situation of our beloved country Pakistan where literacy rate is so low that we cannot speak wisdom on it. Considering the situation and gravity would request Asim and Imran to please dont penalize Pakistan for that, change will come but need time and most importantly with system which govern on best practises. Country call you to make best in terms of economical advancement and governance. Please come with us and together we will change our people mindset too. This all can only be done with better togetherness, please don't quit and join Pakistan for cause. These people are politicians not academics. @minhaj khokhar , Job of economist is comparable to a job of a scientist. They may not create jobs but expand boundaries of knowledge by a notch and technoloists and induatrialists utilize it to create employment. Members of EAC isn't expected to become businessmen. But their job is to help PM create a suitable environment where the industries and businesses can thrive and economic progress can be made. I was shocked to read that the services of a world famous economist were not utilized, just because of his faith. The most developed countries like US utilize the services of best brains of the world to develop their nation, irrespective of color, caste and creed. We are thuosands of years behind such nations only because we relate everything to religion. The services of Mr. Atif and his other colleagues are benefiting the world. Everything is not to be related to faith and religion. The PTI government has fallen on its own sword. Used religious sentiments and social media against previous Govt. now the same weapon is being used against PTI. Country religious parties and uneducated Mulla's are so backward that they do not see the country interest. I respect your decision Dr. Imran. Wish the situation was different. A totally unprofessional reaction. Pakistan is better of without this kind of childish behaviour at high places. to all educated Pakistanis, do not stay silent. Raise your voices louder than those of your bigoted fellow citizens. @Anti-Corruption_Pakistani you failed to address real problem why those economists resigned. He opted to quit. What is the issue? This is his personal decision. @Ali Juvenile logic. No wonder if we are in such a mess. @Ali I believe the word you are looking for is "imported", anyway as Imran Khan has said repeatedly that he wants the overseas Pakistani's to help empower Paksitan's economy, by participating. I believe that relying on overseas Pakistani experts should be a part of that. So, comment like yours and actions of PTI in this situation is counter intuitive and cowardice, being overpowered by the opinions of the extremists. Such a shameful thing for our government. @Ahmed bin Babar Sure, but how about at least siding with the individuals who can save Pakistan from the crisis it is heading towards. These are 3 world renowned experts in economics, their inclusion would've benefited Pakistan as a whole.